With the following steps you can reset the page counter the Brother MFC-J265W printer, follow the steps here. This type of Brother printer are micro-enterprise printers which have raised household and printers that are high performance and excellent for installing continuous ink system, as we all know Brother printers are integrated head. Usually we will need reset an printers of these when we have printed a considerable amount of pages with these printers, it may be that we have a system installed ink or we use refillable cartridges, to resolve these errors with the manufacturer of _ printers we have to pay high costs because when these printers have errors of end of life is supposed to have reached a point of printing enough to lose the warranty. Follow the procedure below, there is a difference for some models the buttons change, so we recommend you to contact us, we will gladly explain whatever needs you have. First disconnect the electricity power cord from your printer. So we can disconnect the connector of the printer as directly from the power feeder on our wall. You Do this step carefully to avoid damage by electricity. With the printer unplugged keep pressed the button for ON / OFF or Start depending on which region printer is. With the button ON / OFF or Start pressed connect the power cord electricity, remember to be careful when connecting this cable you can cause electric shock, be caution. 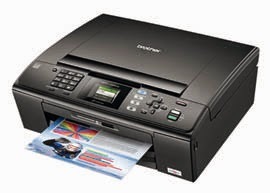 When the screen displays "Maintenance" or "Mantenimiento" appears depending on what the printer language or region is set to the printer, release the button you have pressed. Put the keyboard the number "80". Now with the button that show below on the keyboard to navigate the printer until "Purge00xxx" option and get in. Press the "Stop / Exit" button and return to menu "Maintenance" or "Mantenimiento" then press on the keyboard printer number "9" and "9" out of state "Maintenance" or "mantenimiento" turn off then on the printer again. The page counter must be set to "0" and your printer back to working.